The sole occupant of a silver Toyota Corolla died at the scene crash on Route 202 near Boynton Road. Buxton police are looking for two people who may have removed a person from a vehicle after a fatal car crash Tuesday evening. The sole occupant of a silver Toyota Corolla died at the scene crash on Route 202 near Boynton Road. Police believe a pickup truck stopped at the scene and two people removed the driver from the Toyota, possibly because it was smoking or on fire. The single-car crash was reported around 6 p.m. Police say the driver left the road and crashed into a tree. 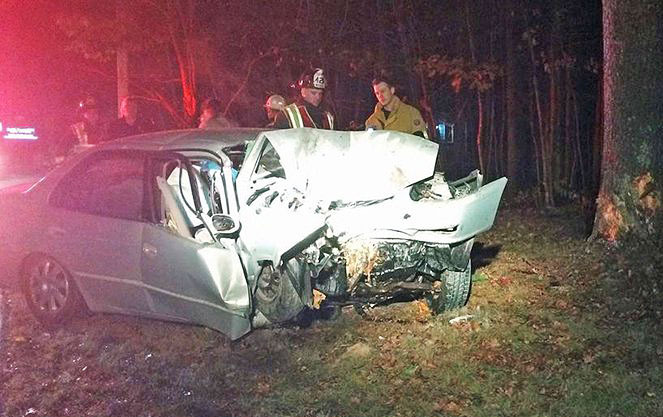 Speed is believed to be a factor in the crash, which remains under investigation with assistance from the Saco Police Department. Police described the driver as an older man. Camire said the man’s name will be released after next of kin are notified. Anyone with information is asked to call Camire at 929-5151.